There is an emerging body of evidence that suggests that exercise can change the brain in people with Parkinson’s Disease. Difficulties with walking and balance are two of the common motor symptoms associated with Parkinson’s Disease and correlate with an increased incidence of falls. Walking changes include freezing of gait, slowness of movement, short shuffling steps and a flexed posture. Aspects of walking that are commonly impaired include dual tasking, turning and walking backwards. Balance difficulties also seem to be more pronounced in the backwards direction with falls more commonly occurring with tasks that require backwards movement or with perturbation in the backwards direction. Many suggestions have been made to people with Parkinson’s Disease around the exercise components they should include in an exercise program. Some of these recommendations include; cueing strategies to assist with walking, cognitive movement strategies to assist with transfers eg- rocking in the chair forwards and backwards a set number of times before moving from sitting to standing, balance and joint mobility and power based exercises. Dance is an alternative form of exercise that is being utilised by therapists to help improve and manage the motor symptoms associated with Parkinson’s Disease. Dancing is a fun and engaging way to participate in group exercise. It also addresses balance with change of direction, weight shift and arm movements. Your Health Hub Dancing with Parkinson’s group in run by our Physiotherapist Amanda each Wednesday from 1:00pm-2:00pm. We also have a Physiotherapist led Tai Chi class on Fridays at 10:00am with a focus on falls prevention. This class has been designed to challenge balance with weight transfer practice as well as coordination of arm and leg movements. If you know of someone who has recently been diagnosed with Parkinson’s Disease, an assessment with a Physiotherapist is essential for future management. Bek our Physiotherapist has an interest in Parkinson’s Disease and has done specialised training around the exercise prescription for people with Parkinsons. There is opportunity to be guided through these exercises 1:1 or in a group setting. Earhart, G. M. (2009). 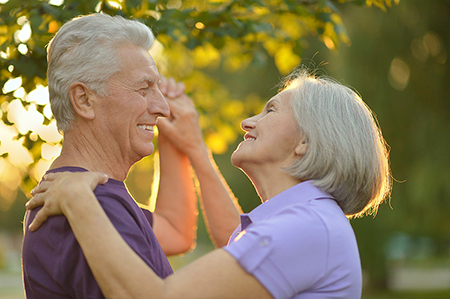 Dance as Therapy for Individuals with Parkinson Disease. European Journal of Physical and Rehabilitation Medicine,45(2), 231–238.